The Joy of Fashion: Buying Thanksgiving treat supplies! Grocery shopping to get supplies for some Thanksgiving treats!, also worked on a secret craft... almost finished! 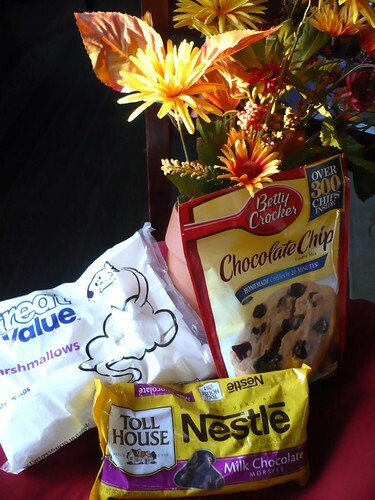 I got some supplies to make Thanksgiving treats today! Yai! I love making desserts and treats, they are so yummy! You'll have to stay tuned to see what I make (although the photo makes it pretty obvious... jeje). I am very happy with today's outfit, specially since two different strangers came up to me today just to tell me how cute I looked! Yaiii!! that always makes my day! Basically what I did was to match the blue of the tights with the blue in the skirt's pattern. 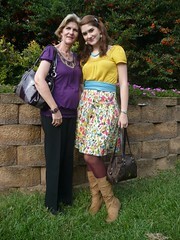 Since the tights are the pop of color in this outfit, I kept the rest pretty neutral. I also added the blue jewelry to pull it all together. Oh, yeah, and I also added some cool blue chopsticks in my hair!! I thought it looked really cute! 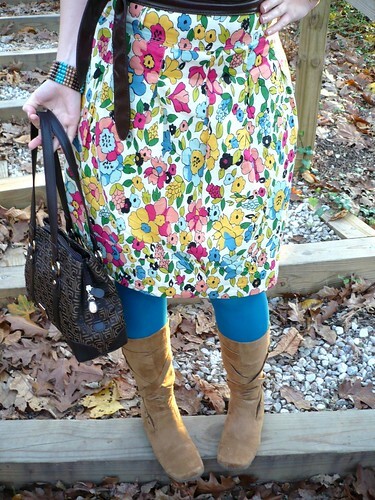 The pattern on that skirt is just too cute! And adore how you've tied your obi off to the side - fantastic idea. 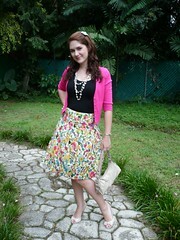 Have always loved this skirt since it has so many possibilities of mixing and matching. 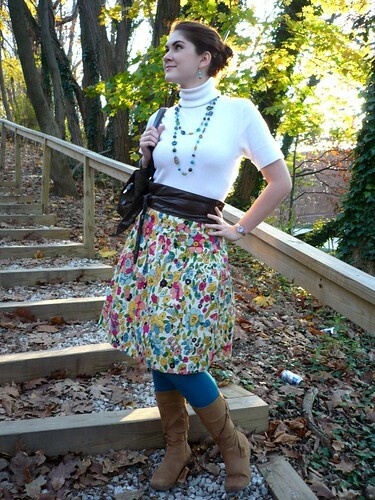 The blue tights and beige boots definitely give it a more fall look. Your hairdo makes it more interesting with the blue chopsticks.